For Staff Nurse : 10+2 pass. Govt. of Odisha Selection Process : Selection will be based on marks obtained in the 10+2 examination. 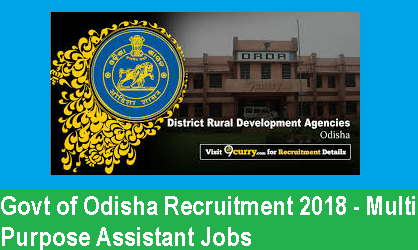 District Rural Development Agency, Dhenkanal Government of Odisha Invites applications for the post of 52 Multi Purpose Assistant.